What apps and technology are you finding most useful? How do they benefit your business? My new favourite personal safety app is StaySafe. This GPS tracker app provides personal protection for employees when they work offsite. Not only can it help keep your team safe, it can keep them accountable. Similarly, my new favourite vehicle tracking app, Fleetlog, allows you to see where, when and how your team drives. Not only does this keep them safe and accountable, it allows you to better manage your business. And finally, my new favourite video app is BombBomb. The paid version allows you to create and share videos to email, text and social media sites to help build relationships with your current and prospective clients. Whilst many apps offer free versions, it’s worthwhile investing in their paid versions, since these always offer more features, and therefore better results for you and your agency. With the Perth rental market so challenging with an oversupply of property, it is more important than ever to make the viewing process as easy as possible for prospective tenants. At M Residential we have initiated an online booking system so that the tenant can dictate what day/time we can be available to show a property to them. We also market all of our vacant properties with a walk-through video tour which provides a ‘pre-qualify’ of a prospective tenant. We also use this video technology in our property condition reports and provide an exact snapshot of the property to keep our overseas leasers in touch with the ongoing condition of their investment. All of our routine inspections are done via the Rentfind app. It syncs with our PM software REST and provides an easy-to-read report for our lessors. We are always on the hunt to investigate and source new technology for our department to make the processes more time-effective and streamlined without losing the personal contact of the property and the processes. Telephone: Is this new? No, but it seems that many of us have forgotten the phone exists and communicate via email and text messages. This is fraught with problems, and the industry is seeing an increase in complaints regarding communication. 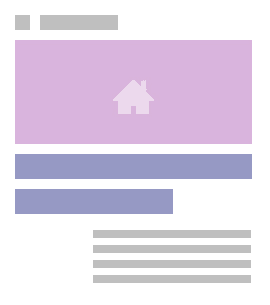 Email and text are two dimensional and often not received as the sender intended, so the receiver is left feeling unsatisfied. Many of our offices are going old school and picking up the phone, and then confirming the discussion with an email. This is not only reducing complaints, it is helping our property managers get through their work faster and creating greater client experience and relationships. InspectRealEstate: For two reasons: 1) convenience of tenants booking viewings; 2) database creation – staying in contact with prospective tenants and being able to show prospective investors that we have a database of people wishing to view homes similar to theirs. There is now the BDM module, which is also proving very effective. Virtual assistants: They assist with lead generation, where the virtual assistant locates information on potential investors in your local market via the internet. Inspection manager: Electronic inspection reports to aid property managers’ requirement to double handle inspection reports. The reports are completed at the property via tabbing on common words and phrases. This information is then stored and can be used in future reports. Photos can also be attached to these reports. Rockend: Or other trust accounting programs have some amazing ‘wizards’ to assist you in automating each step of various tasks. Many people are unaware of all the functionality contained in their trust accounting program. I suggest you regularly check in and see what’s new. For those looking for apps to make life easier in the office, I love Jing and Snagit, which provide a great solution for on-screen demo videos – perfect for personalising presentations to clients, answering long emails and, most importantly, providing training videos for the team. If you are on the latest version of Office, OneNote is amazing for notes while you are out and about on your phone or iPad, which then sync when you are back on deck. Inspection Apps: Rentfind Inspector and Property Inspection Manager. The industry is saying that the ease of use, the flexibility of adaption and strong customer service support has been the best with these two inspection apps in particular. Inspectrealestate.com.au: The most popular technology platform at the moment has to go to inspectrealestate.com.au with its online tenant viewing booking system, and the solution it provides the industry managing the communication and viewing appointments with prospective tenants. This service has rolled out to offices at a lightning fast take-up rate, providing a valuable service and much-needed solution to an age-old problem of managing property enquiry. There are a multitude of apps out there in property management land. It’s just a matter of trialling them to find the best fit for your office environment, given every office and its needs are different. One of the best apps I have found for usefulness and saving time for property managers is Inspect Real Estate. It provides a seamless online booking system for tenants to book inspections as well as providing updates on applications for prospective tenants. On the inspection front, Inspection Manager, Rentfind Inspector and Property Inspection Manager are fantastic and some integrate with your trust software to ease the pressure of routine, ingoing and outgoing inspections, plus provide a professional-looking report that clients love. Embracing technology has contributed to our success at Realmark. 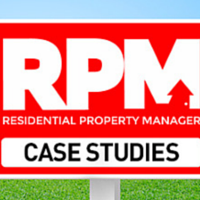 There have been some fantastic products that have helped our property managers to work smarter, not harder. Inspect Real Estate and IRE BDM have proved beneficial to our new business and leasing managers, facilitating inspection bookings and automating data entry. Rentfind's inspection application has proven invaluable and a great time-saver for property managers. But apart from these task-based innovations, one of my favourite pieces of technology to hit property management would be online training and webinars. I like Real+. It allows our staff to log on 24/7 to access quality training and webinars. If we identify a training need, we can instantly direct them to a webinar or a training module to brush up on skills. It also allows our team to participate in live webinars, interacting with quality trainers and other property managers from around the country. From a business perspective it saves money on training and provides a timely solution to training needs. However, my belief is that all of the technology we use is only as good as the user. So often we see technology wasted and underutilised. Regular training and workshops on these systems are paramount to ensuring staff reap the full benefit of each of these products. The biggest technology-related improvement within the past 12 months in our office has very clearly stood out to be Inspect Real Estate’s online booking system and its latest product key tracker. Both products very much simplify and automate two very mundane, yet time-consuming tasks: tracking keys, i.e. following up and keeping tabs on keys in and out of the office; and booking/scheduling property viewings/inspections for prospective tenants. In my opinion, the online booking system is saving us on average at least one hour per employee per day, and the key-tracking system is probably saving approximately 30-60 minutes per day. The automation that both products provide actually enhances the users’/customers’ experiences significantly. It also removes the room for human error and miscommunication. Despite the significant change in market conditions, our vacancy rate and days on market have remained very consistent and I very much attribute this to the online bookings system provided by Inspect Real Estate.